People age because they acquire deficiencies and their hormones decline. Weight gain can be a manifestation of imbalances in hormones, nutrients (that activate fat breakdown and muscle development) and toxicities that cause fat accumulation, hair loss, fatigue and low libido. Hormone imbalances occur from age 30 onwards. By age 50, people have only 50% of hormone function for estrogen, progesterone, testosterone, thyroid, DHEA, melatonin, and Human Growth Hormone. It only takes a tiny change in hormone levels to cause major problems in the body. Hormones work slowly over time to affect your growth, sexual function, mood, appetite, hunger and cravings. Our skilled physicians will evaluate and treat your symptoms directly by balancing and optimizing your hormone levels with hormone supplementation. You will experience renewed energy, restored youthfulness, and live a longer, full-quality life. Since each individual’s hormonal requirements are distinctly different, we begin by evaluating your need for hormone therapy with comprehensive diagnostic testing. This involves complete hormonal blood panels and symptoms based, gender specific screenings that will help your doctors restore you to optimal health. Our doctors are highly skilled in the early detection, prevention and reversal of age related ailments. Once we determine where and if hormonal deficiencies exist, our team of expert physicians will tailor an individualized hormone optimization plan aimed at replenishing your dwindling levels of hormones. Hormone Optimization Therapy. To correct your hormonal imbalances, the physicians at Persona Doctors may prescribe hormones that are custom made for you in the exact dosage and quantity that you need. Top Quality Safe Hormones. 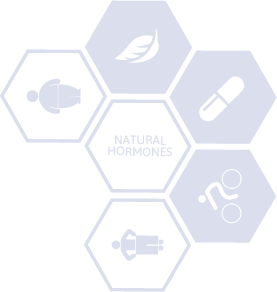 Hormone therapies have the same chemical structure made by the human body and exactly mimic the effects of the hormones that your own body creates. At Persona Doctors, we offer flexible options that that are designed to meet your unique goals, medical requirements and budget. To jumpstart your hormone therapy treatment, we offer an affordable introductory package that includes everything from the initial laboratory evaluation through your treatment and maintenance. The Persona Doctors Introductory Starter packages above will cover all of your medical testing and the first 30 days of treatment. After that you will have the option to choose from several comprehensive, all inclusive plans starting at $195 per month. No Penalty Plan Changes. You may change plans at any time before your next billing date without penalty. No Long Term Commitments. Our easy plan cancellation takes your health and medical requirements into account. As you begin to reach your goal weight, cancel your plan at any time with a simple 60 day notice. The notice period allows your doctor to begin the gradual process of taking you off medications (the “weaning off” period) so that you succeed and do not gain the weight back.